Today it is apparent that businesses in the United States have had problems with their owners’ and managers’ practices of being transparent and free from fraudulent activity concerning dealings with partners, employees and consumers. It is the case, that many people have been harmed because of a business collapse under unethical leadership tactics. In explanation, of unethical leadership tactics within a company the repercussions of such activities can be detrimental to not only consumers, but investors and employees. In preparedness for these kinds of situations the United States Congress has developed, and passed laws to thwart shady dealing by shady corporations; such as the Dodd-Frank Wall Street Reform and the Consumer Protection Act of 2010; as well as, the Consumer Financial Protection Bureau [CFPB] which for all purposes as noted by Seaquest (2012), “Increased oversight of the financial industry and was a preventative measure to risk taking and deceptive practices in areas such as mortgage lending” [The Regulatory Environment Section; para 1]. Concerning regulating the business environment –standards have been set that would protect both business and consumer. In this article, however, the businesses are deemed small and there is discussion of the Tinker and Taylor’s Home Security Service owners who have taken on certain business titles and by law have specific responsibilities when they breach a contract; such as is found in (a) Sole Proprietorship, (b) General Partnership, (c) Limited Partnership [LP], (d) Corporation [Corp], and (e) Limited Liability Company [LLC]. In business law, both parties enter into a contractual or verbal agreement which says that Tinker’s Home Security Service install their systems free and monitor them monthly for a standard cost of 48.00 plus applicable sales tax per state allowance. In the first analogy of sole proprietorship Tinker and Taylor’s Home Security Service is being sued. Here are the problems with sole proprietorship as determined by the people at SBA.gov (2014) who state the disadvantages are that they could face sole liability (SBA, 2014) which makes sense since they own the business by and for themselves. Unlimited personal liability. Because there is no legal separation between you and your business, you can be held personally liable for the debts and obligations of the business. [In this case, a suit takes money to defend oneself, that is, in the case of obtaining an attorney]. Hard to raise money. 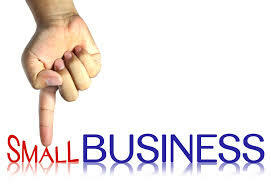 Sole proprietors often face challenges when trying to raise money. [In this case, a sole proprietor’s money is not separated from home and business in the instance of cash flow. In essence, most people who own such businesses could consider this business their sole livelihood so extra money for court fees, unless, the owner sues a customer is out of pocket]. Heavy burden. The flipside of complete control is the burden and pressure it can impose. You alone are ultimately responsible for the successes and failures of your business. [Hence, it is the case that a failure for the business could be a law suit which can impose harm to the business; such as damages paid out] [Disadvantages proprietorship Section] [Emphasis added]. In the case of the General Partnership for Tinker and Taylor’s Home Security Service establishing the business was relatively an easy one there was not application with the state and all was needed was for the partners basically to know how to install the systems, however, since the suit is against them the partners cannot agree to which the suit should attributed. After all they are both owners of the entity and since both own both are responsible. There are risks that can be gathered here, or rather, be taken heed of for future reference. In the article, “Sole Proprietorship and General Partnerships are Risky Business” the pronunciation of the risk stated, “If you are a co-owner of a business, and you have not formally created a corporation, LLC, limited liability partnership, limited partnership, or a limited liability limited partnership, you are operating a general partnership. This means that you have unlimited, personal liability for all of the businesses debts, including the acts of employees. In addition, in a general partnership, you also have unlimited, personal liability for the acts of all of the other owners” [Partnership Liability is a Major Risk Section; para. 1]. Therefore, the risk of being General Partner is provoked in the lawsuit. It is the case, that the acts or non-acts of either are the responsibility of both. For example, in the initial installation of the alarm Partner 1 damages a wall in the home of the consumer and does a shabby job with the alarm so that he malfunctions often. Partner 2 states that damage to the wall is not his responsibility since he did not do the installation because Partner 1 took the call and the repair to the wall should come from Partner 1 since he started the business. Partner 1 screams that he cannot afford such a hit on his already taxed expenses and so forth. In reality Partner 1 did the damage, but since they are partners the damage belongs to both. An LP has one or more general partners and one or more limited partners. The general partners participate in management and have 100% liability for partnership obligations. Limited partners cannot participate in the management and have no liability for partnership obligations beyond their capital contributions, protecting them against personal liability for the partnership’s debts and other obligations. They do, however, receive a share of the profits for their involvement as limited partners. Many partnerships are formed as LPs because the limited liability is attractive to passive investors. It is often easier to market limited partner interests as an investment and general partners can raise money without involving outside investors in the management of the business. Assets are also protected in an LP. Unlike a corporation, which allows a shareholder’s stock to be confiscated in a personal lawsuit, an LP has provisions that protect a partner’s interest from being taken away when that partner is sued personally [What is an LP Company Section; para.1]. In essence, in a limited partnership the implications here are that there is no liability beyond that of their contributions. In other words, shareholders have no say in the functioning of management from day to day. Hence, for the Tinker and Taylor’s Home Security Service their breach of contract lies with the owners, Tinker and Taylor not the members who contribute and neither their investment in the company as stated above. For example, Partner 1 is accused of defrauding the customer in their free installation agreement and receives a bill that ultimately goes unpaid and is now on the customer’s credit is not the fault of the partners who have limited claim to the company but the actual owners. An LLC is a hybrid business organization that mixes the best of corporations, partnerships, and sole proprietorships. Each owner (also called a member) of an LLC has limited liability like a stockholder of a corporation. LLCs allow any entity, including individuals, partnerships, trusts, estates, corporations, or other LLCs to be owners. They also offer greater flexibility than corporations—like no limits on the number of members—yet they have the tax advantages of a partnership, such as pass-through taxable income and losses [What is a Limited Liability Company? Section; para.1]. So it is fair to say that as an LLC all members are not privy to lawsuits. In essence, we can see that in larger corporations although managers in smaller entities might be privy to lawsuits not all of the players are included in these, such as breach of contract. However, big corporal giants can be included in class action suits such as discrimination and some class action suits are privy to lawsuits such as overcharges and overbilling; however, one might need to narrow down the identity clause there and go after individuals, because identity is difficult to prove with larger corporations seeing there are many business inside the one entity. There are several descriptions related to the lawsuit against Tinker and Taylor’s Home Security Service and their different establishments; as well as their approach to the breach of contract suit which in review of the outcome notes that (a) for sole proprietor there will be loss in consideration to damages, (b) the general partnership has as much responsibility to damages in a law suit even if the blame is caused by an employee whether of acts or none acts of the company both partners are held accountable, (c) for LP the liability is more favorable for the partners in that they are more protected, however, the owners are still held accountable, and (d) LLC and Corporations, as mentioned, are not all privy to lawsuits because not all partners are involved as like investor, or rather silent partners. However, there can still be suits brought against individual companies or those who own them. In essence, the outcome here is that sole proprietorship and general partners is taking on a huge risk. Sole Proprietorship and General Partnerships are Risky Business. Business Owner’s Toolkit. This entry was posted in Business Law and Ethics, Civil Rights, Community, Crime and Business, Employment, Equal Rights, Ethical, Government and tagged Business Ethics, Business Law, Employment, Men, Self Employment, Small Business, Work Ethics, Your Sunday Bread. Bookmark the permalink.